Join me this fall in a journey to unmask your authentic brand identity. During this 14-week webinar series, you will discover your passions and develop a vision for your business, thoroughly analyze your marketing goals and write a strategic plan, learn graphic design techniques and industry standards, and much, much more! The result? You will come away with a well-constructed brand based on what makes your business unique! You will learn how to leverage that brand to gain name exposure and visibility. Whether you are starting a business from scratch, have been self-employed for awhile, or you are a representative for a direct selling company, you will benefit from this course. I have several levels available to fit all budgets, whether you are an avid "do-it-yourselfer" or want to outsource all the graphic design, including printing of identity collateral. So sign up today by clicking here! The webinars start September 14 and space is limited! Dana Susan Beasley, is principal and publisher of AngelArts, a Creative Arts Agency and Publishing House, delights in helping small business owners and entrepreneurs build effective brands that get noticed. An experienced and creative graphic artist, she has been helping companies, organizations, and artists reach new heights in their branding for over 17 years. 1.) Take 100% Responsibility for Your Life. One of the greatest myths that is pervasive in our culture today is that you are entitled to a great life-that somehow, somewhere, someone is responsible for filling our lives with continual happiness, exciting career options, nurturing family time and blissful personal relationships simply because we exist. But the real truth is that there is only one person responsible for the quality of the life you live. That person is YOU. 2.) Be Clear Why You’re Here. I believe each of us is born with a life purpose. Identifying, acknowledging and honoring this purpose is perhaps the most important action successful people take. They take the time to understand what they’re here to do-and then they pursue that with passion and enthusiasm. 3.) Decide What You Want. One of the main reasons why most people don’t get what they want is they haven’t decided what they want. They haven’t defined their desires in clear and compelling detail...What does success look like to you? 4.) Believe It’s Possible. Scientists used to believe that humans responded to information flowing into the brain from the outside world. But today, they’re learning instead that we respond to what the brain, based on previous experience, expects to happen next...In fact, the mind is such a powerful instrument, it can deliver to you literally everything you want. But you have to believe that what you want is possible. 5.) Believe in Yourself. If you are going to be successful in creating the life of your dreams, you have to believe that you are capable of making it happen...Whether you call it self-esteem, self-confidence or self-assurance, it is a deep-seated belief that you have what it takes-the abilities, inner resources, talents and skills to create your desired results. 6.) Become an Inverse Paranoid. Imagine how much easier it would be to succeed in life if you were constantly expecting the world to support you and bring you opportunity. Successful people do just that. 7.) Unleash the Power of Goal Setting. Experts on the science of success know the brain is a goal-seeking organism. Whatever goal you give to your subconscious mind, it will work day and night to achieve...To engage you subconscious mind, a goal has to be measurable. When there are no criteria for measurement, it is simply something you want, a wish, a preference, a good idea. Ok…so you have finally followed your dream and started your business. But now, you’re stuck in overwhelm with what to do next. You’re wondering…how can I grow my business? You have the perfect letterhead and website, but this doesn’t pay the bills. Here are four tasks you should focus on to grow your business. 1. Take Action – You can spend your time learning software and setting up systems, but if you never implement what you’ve learned and take action…your business will never grow. Tip: Create a daily “to-do” list to help you stay on task. 2. Market –There are many ways to market your business, which will drive traffic to your website. You can guest post on other blogs, post articles to your website and use social media like Facebook and Twitter. Tip: Remember to use your keywords and keyphrases when writing your articles. 3. Analytics – Install Google analytics to your website so that you can see how your website visitors are finding your site. Tip: Make note of the keywords that are being used to find your website, then use them when writing your articles. 4. Products – Develop information products for your website to generate another stream of revenue. Your website visitor may not need your services at the time, but they may be interested in purchasing your ebook “20 Tips On Setting Up Your Wordpress Site” for $19.95. Tip: Keep your ebook at around 60 pages. Remember, consistency over time brings results, so don’t quit if results don’t come immediately. Julie Barnes is a Writer specializing in Business, Travel and SEO Copywriting. She is passionate about helping women entrepreneurs succeed in business through the written word, while traveling the great USA full-time in a 42 ft rv. 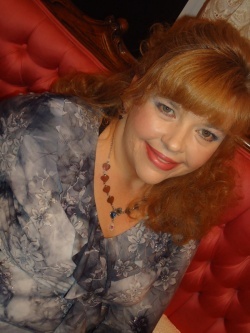 Julie Barnes is a regular contributor to the Secrets of Success blog. For Deb Palacio, starting WebUndies.com in 1999 was all about the opportunity to do something few were doing: build a company and still be a full-time mom. It was because of her graduate semester abroad in Paris that she realized that if she could survive and thrive on her own in a foreign country, she could easily figure out how to start and run a business. Deb was expecting her first child and working long hours as a department manager at Nordstrom when she realized the Internet offered opportunities to sell products without having a physical storefront. Inspired by a mall kiosk selling novelty boxer shorts, Deb decided to sell kitschy, fun boxers online. The WebUndies' tagline: "It's not just underwear, it's fun to wear!" captures the spirit and philosophy of Deb's business. She offers fun underwear and loungewear for the whole family while maintaining a work environment that supports employees' family life and community involvement. Today, WebUndies.com is a $1.5 million business - and growing. The company offers over 2,000 styles of boxers, briefs, pajamas and t-shirts with popular characters such as Superman, SpongeBob Squarepants and Hello Kitty as top sellers. Are You Tired of Chasing Success? If you're a "Type A" person (like I am) then it's all about being busy and getting results. At the end of the day you want to see what you accomplished. You set goals and expect to achieve them on a regular basis. The catch is that when you're in business for yourself, you might not see those results as quickly. When you make a change or introduce a new product, the result may not be as evident until time has passed. Sure, it’s great to think that you can do something today and see it come to fruition tomorrow, but is that realistic? The overnight success we all seem to crave might take years to show itself. Are you looking at the big picture or do you just want what you want right now? In corporate, many of us just did what we were told. When I went to my appraisal meetings, I could point to a list of tasks I'd completed and then wait for my (minuscule) reward. But in the entrepreneurial world, things are not that nice and neat. As the CEO, you have to take the long view. It's not just about getting work done today, then getting a new task tomorrow. It's about doing work today that will have an impact on what happens tomorrow, and the day after that. You could say that my work on the job had an impact on the company. True, but how often have you done work on the job (if you've been an employee) and you had no idea what your impact was? We might have been told about the short-term goals, and sometimes the longer-term ones, but usually we went from one project to the next. The end result was that we had no idea what our work was worth, and whether or not it served any real purpose. But when you are the one running the show, you don't have that luxury. It's not about being busy for the sake of looking busy or having something to put on your appraisal. The decisions you make right now about funding, or expansion or hiring may (or may not) have an impact today – but you can bet they will over time. It can be easy to chase that bright shiny thing because you want to see it all happen right now. And when that bright shiny thing promises you that it will give you everything you want without risk – today, in a week or in 30 days – it's tempting to be all over it. The Type A part of me loves stuff like that because I want to be sure...and be in control. I want to complete my task so that I can get my reward right now. I want to skip all the discomfort and go right to success with no side trips. Would be nice, wouldn't it? But that's not how it usually happens. You will be uncomfortable. You'll make mistakes and stumble from time to time. Plans will go awry and some people will give you the side-eye because you're not doing it the way THEY would have. Getting what you want may take a long while, or it may happen much sooner than you expect. But doing busy work or running after this or that just so you can feel a sense of accomplishment (or quick, effort-less, no-risk success), will usually not lead you anywhere. Deborah A. Bailey is author of two non-fiction books including, “Think Like an Entrepreneur: Transforming Your Career and Taking Charge of Your Life .” She's also the creator and host of Women Entrepreneurs Radio, a weekly internet talk show. 11. Martha Inc.: The Incredible Story of Martha Stewart Omnimedia by Christopher M. Byron : Love her or loathe her — no real middle ground apparently exists — Martha Stewart undeniably left an impact on business and media alike, particularly when it came to profiting off traditional homemaking activities. In this detailed biography, Christopher M. Byron explores her controversial public life, staggering financial success (some of it actually legitimate!) and personal history. 12. Suits: A Woman on Wall Street by Nina Godiwalla: Suits tells the very real story of a Zoroastrian banker who finds herself interning in the Manhattan offices of J.P. Morgan Chase — and discovering some highly disconcerting things about Wall Street's treatment of minorities and women. Nina Godiwalla presses on with the hopes of pleasing her parents, particularly her father, but ultimately concludes that such a high-pressure, low-tolerance atmosphere just doesn't gel well with what she needs and wants. 13. Seducing the Boys Club: Uncensored Tactics from a Woman at the Top by Nina DiSesa : Although more of a guide than a straight-up biography, McCann Erickson New York advertising executive Nina DiSesa certainly pulls from her own life to offer up advice. 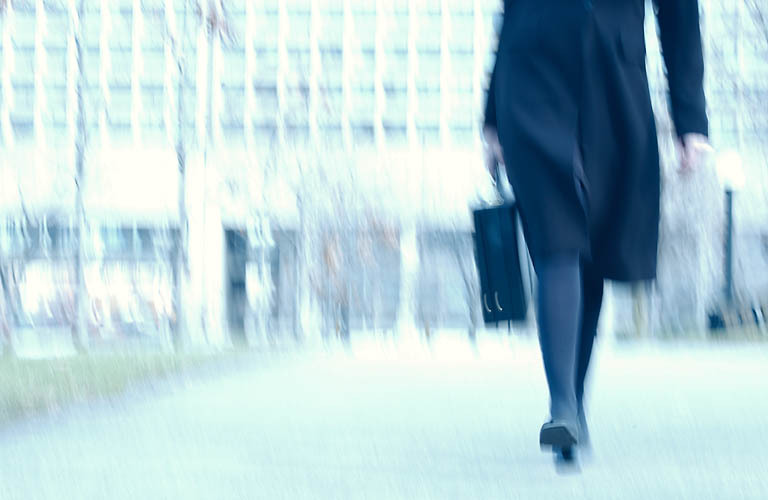 Many of the concepts regarding "making it in a man's world" might seem gendered to some readers, but it nevertheless provides an interesting — sometimes disheartening — glimpse at patriarchy's role in the corporate world. 14. Life on the Line: One Woman's Tale of Work, Sweat, and Survival by Solange De Santis : Solange De Santis put her investigative journalism skills to work on a GM assembly line in Ontario, keeping a detailed diary for 18 months. From there, she pointed out some startling safety, health and sexual harassment violations, but pointed out that the workers certainly did pour a hefty amount of blood, sweat and tears into their responsibilities. 15. The Dressmaker of Khair Khana: Five Sisters, One Remarkable Family, and the Woman Who Risked Everything to Keep Them Safe by Gayle Tzemach Lemmon : Despite the Taliban ripping away her teaching career and shoving her under veritable house arrest, courageous and clever Kamila Sidiqi used the opportunity to flex her entrepreneurship muscles in defiance. When her father and brother were forced to flee, she ended up in charge of her five sisters, keeping them alive through semi-underground seamstress services. 16. 20 Years at Hull-House by Jane Addams: Women and men alike working in the nonprofit sector — and general readers with a particular interest in humanitarianism and philanthropy — might want to pick up this classic memoir about a successful, influential settlement house. Jane Addams and her partner Ellen Gates Starr kept Hull House operating for over two decades, helping new immigrants better adjust to American life by forging tight-knit communities. 17. Seaworthy: A Swordboat Captain Returns to the Sea by Linda Greenlaw : Whether working on land or the sea, the captain of swordfish vessel Seahawk offers up some incredible stories and advice regarding leadership, bravery and pressing on despite severe setbacks. Following a decade-long separation from fishing, Linda Greenlaw reflects on her return and the challenges she faced as the only American woman leading a swordfish boat and expedition. 18. All Things at Once by Mika Brzezinski : Best known as the co-host of MSNBC's Morning Joe, Mika Brzezinski opens up about all the issues associated with trying to having a career, a husband and children — and unfortunately often neglecting the latter in favor of the former. For seasoned and novice businesswomen alike, her successes and failings can serve as valuable lessons in what to do and not do when simultaneously working and starting a family. 19. Tough Choices: A Memoir by Carly Fiorina : Carly Fiorina never really set out to be a businesswoman, but ultimately ended up serving as Hewlett-Packard's CEO of Technology for 6 years before her 2005 dismissal. Once amongst America's most powerful corporate women, she eventually published Tough Choices as a rumination on life in the boardroom — and how her decisions ultimately came to shape her rise and fall. 20. The Letters of Sylvia Beach by Sylvia Beach : Literature aficionados recognize Sylvia Beach as the Shakespeare & Company owner and operator partly responsible for Ernest Hemingway's career. But her influence spread much, much further than that, and this work collects her correspondence with such luminaries as Gertrude Stein, James Joyce, F. Scott and Zelda Fitzgerald, Ezra Pound and plenty more. "The Power of Convergence: Linking Business Strategies and Technology Decisions to Create Sustainable Success"
This book includes success stories and shows not-so-successful implementations to give examples of how businesses can best link their business and technology objectives. In an ever-changing world of technological innovations, it's easy to get caught up in the "bright shiny object" syndrome and forget about the business model or the needs of your customers. Small businesses can learn a lot from these situations and use the valuable strategies as they plan their growth. Author Faisal Hoque, CEO of Business Technology Management Corporation (BTM), a leading management solutions, software, and services company, shares some of his thoughts about linking business and technology. Deborah Bailey: What prompted you to write this book? Faisal Hoque: The main purpose of this book, as with my "social think tank," is to help business leaders recognize the opportunities that are arising during the current global transformation. Today more than ever, all businesses-large or small-have access to very similar opportunities as one another because the world is so globally interconnected. This holds true whether you're looking at it from an economic, business, and social standpoint. My new book, The Power of Convergence, helps to quantify the financial impact of these global changes and the importance of gaining competitive advantage through continuous innovation and creativity, especially in the technology sector. In this new era of global business, many corporations have to opportunity to improve their financial performance by developing the critical capabilities that comprise an agile, innovative, and sustainable company. The application of appropriate technology has the ability to jumpstart corporate transformation, creating a space where innovative uses of enabling technologies can propel a business forward. FH: Advancement in technology has given rise to huge opportunities for anyone looking to break into a particular market niche by innovating on new and existing technologies. Technology has become ever more accessible, affordable, and continues to be an enormous factor in connecting us to a global community. Technology proliferates at a tremendous rate, leveling playing fields in nearly every endeavor it touches. Take Apple for example. They didn't invent portable music or the Mp3, rather they built on the existing technology and found success through innovation and sleek marketing. In addition, the book aids as a guide for using the only the most appropriate technology to achieve a desired business goal. Those who converge business and technology management are able to gain superior revenue growth and net margins relative to their industry groups. DB: What are a few recommendations for changing management practices? FH: In the current business culture, the problem of convergence is often understood as a disconnect between IT and business managers and their differing technology needs. Thus the problem is often looked at in terms of finding a solution that works moderately well for both parties. Instead of thinking of the two as independent silos with different needs, they must be thought of as part of a larger entity (and in fact they are). Convergence occurs when a leadership team operates across both spaces (technology and business) with individual leaders directly involved with orchestrating action in both spaces. Although some activities may remain strictly business or technology, most activities intertwine in such a manner that they become indistinguishable. Because technology and business are changing so rapidly, it is necessary for managers to form new organizational structures in order to create and share new kinds of business knowledge. This is imperative in order to apply emerging socio-economic business models to develop repeatable, reusable transformational processes. Simply put, IT & business must be dramatically restructured in order to keep track of changing trends and take advantage of constantly changing revenue streams. DB: How can the start-up entrepreneur benefit from your findings? FH: The benefit of The Power of Convergence for a start-up entrepreneur is that my system of conceptualizing management structures will allow her/him to create an agile and forward thinking company from the ground-up. Simply put, it will give the entrepreneur a head start among other businesses/enterprises that must shift their entire corporate structure to accommodate this change. As many enterprises are already struggling with years of mismanagement, those who look to start with a blank slate are able pre-plan and bring business and technology managers together at the beginning. Because of the changing global marketplace, those entrepreneurs are now able to break the barriers to entry into markets that were unfathomable for the emerging entrepreneur merely a decade ago. The rise of the internet had brought with it a completely new way of working. You now see entrepreneurs running multi-million dollar businesses from coffee houses…Perez Hilton is a great example of this. People are now building businesses out of their homes and while traveling the world. Here are four things you should do… when landing in a new location. 1. Internet – Locate a backup internet source. You may have the best internet carrier that provides awesome coverage no matter where you’re at, but…you never know when it could go out on you, causing you to miss an important deadline. Tip: Look for free wi-fi in coffee houses, book stores and some restaurants now offer free wi-fi. 2. Office Supplies – You can pick up most of your office supplies, like printer ink and printer paper at Wal-Mart, but for a better selection, you’ll want to search for Office Depot, Office Max or Staples. Tip: Some locations have great “mom and pop” office supply stores. 3. Art Supplies – An art supply store is must for a creative person. Stores like Michaels and Hobby Lobby offer a great selection of supplies for all artists. Tip: Ask around for any great “local” art supplies stores. 4. UPS – Whether you need to ship or receive shipments, UPS is a great resource. You can find a UPS store on almost every corner now. You can also pickup stamps and send out your mail. Tip: Most entrepreneurs utilize a web based fax service like MyFax for their mobile office, but when you need a backup, UPS offers faxing services. Bonus Tip: Utilize your smart phone when possible. Most have the Google Places app that you can download to search for and read local reviews of businesses. It saves so much time! You can make your traveling easier as an entrepreneur by following these four easy tips. Try them the next time YOU arrive in a new location. Julie Barnes is a Writer specializing in Business, Travel and SEO Copywriting. She is passionate about helping women entrepreneurs succeed in business through the written word, while traveling the great USA full-time in a 42 ft rv. Visit her website at http://www.onewhowrites.com/. Follow Julie on Twitter at www.twitter.com/juliebarnesusa. LaTersa Blakely is the Owner of Baby Diaper Cakes and Beyond, offering custom baby shower diaper cakes, baby shower favors, gift baskets and towel cakes. LaTersa earned her Bachelor’s Degree in Agriculture Economics from The University of Arkansas at Pine Bluff and a Master’s Degree in Agribusiness Management from Alabama A&M University. She has been making diaper cakes for family members and friends for several of years. However, she started selling publicly January, 2010 and has made over a hundred plus diaper cakes. Her passion is making diaper cakes, gift basket and towel cakes. LaTersa enjoys attending church and reading. She also likes spending time with her husband, Eric and her two beautiful children in Pittsburgh, Pennsylvania. ***LaTersa is offering a special gift for readers of the Secrets of Success blog and Women Entrepreneurs Radio listeners! Wouldn’t it be nice to expand your selling opportunities at low cost, and without hiring extra sales people? You can, when you co-market your products or services with other businesses. When you cooperate with other businesses to promote your products and services jointly, you can reach more customers while sharing the cost. Co-marketing can also differentiate you from your competition because you can offer customers a richer buying experience. What got me thinking about this creative tactic was a recent visit to Savory Spice Shop in downtown Westfield, NJ. Franchise owners Becky Solheim and Jackie Mittelhammer not only offer an amazing selection of fresh herbs and spices, they also display near their register coupons to the Elements Wellness Boutique, a natural products store located across town. I have no doubt that Elements also features Savory Spice coupons on their counter. Something as simple as this boosts sales for both retailers at a low incremental cost. Seek compatibility. Think about what products and services go well with what you sell. Approach those companies and work with them to develop an enticing offer. Professional photographer Miki Malhotra of Mikifoto, for example, teams with Erica Gendel, a Mary Kay sales director, to provide clients with a professional makeup and headshot package. A note of caution: be mindful of your reputation when you seek co-marketing partners. You don’t want to have another company’s quality or customer problems become identified with you in the customer’s mind because of your association. Keep it visible. Just like Savory Spice put the Wellness Boutique coupons at their register, you’ll want to have a display, advertisement or handout that promotes you and your partners’ offerings. Court referral sources. Even if it’s not practical for you and your co-marketing partner to display each other’s merchandise or services, you can still work together. Customers will often seek referrals to related services, so asking other businesses to keep your cards, coupons or brochures on-hand can also work to boost your business. If you are a landscaper, for example, make sure that the local garden supply shops have an ample supply of your marketing materials to give out. Offer a sample. Your co-marketing partners will much more enthusiastically promote your product or service if they’ve had the opportunity to experience it for themselves. Use more than one tactic. There are many ways that you can team with other businesses. You can work together to publish a newsletter, plan and run and event together, or share a booth at a trade show. Continued cooperation can give you ongoing access to new prospects and enhance your company’s image as it boosts your sales. 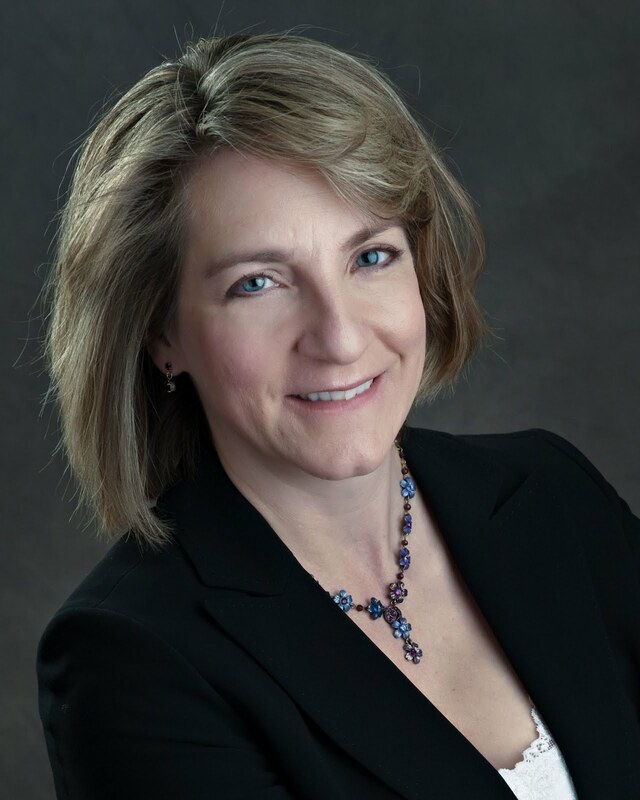 Loraine Kasprzak is a Certified Management Consultant (CMC) who helps her clients connect with their customers to grow relationships and sales. Managing Director of Advantage Marketing Consulting Services, LLC, Loraine is an MBA with over 17 years of hands-on experience and proven results in B2B and professional services marketing. One of Loraine’s strengths is her ability to help her clients clarify their thinking so that they can focus and fine-tune their message for the marketplace. Loraine blogs about marketing and social media at www.advantage-marketingblog.com and can be reached at lkasprzak@advantage-marketing.com. Starting a business can be expensive, even if you’re starting a home-based business. But… there are ways you can save money on some important start-up expenses. Most of us run out and purchase expensive programs like Microsoft Office Suite and then…you have to keep your programs up-to-date. It can be an endless out go of money. Well…there are ways to get around this expense. Here are four ways that you can save money. 1. Software – Avoid purchasing Microsoft Office Suite by using Google Docs. With Google Docs, you can create spreadsheets, word documents and presentations online, share it, and access from anywhere. And it’s free! Tip: Keep in mind that Google Docs is a very basic program. Nothing fancy. 2. 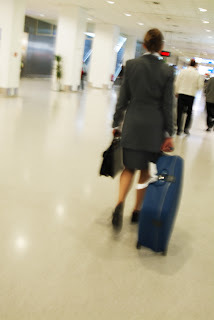 Email – When I left corporate America, the only email program I knew was Microsoft Outlook. You can avoid purchasing this email program by using Gmail. This is Google’s free email program. I love it!! Tip: Most smart phones have the Gmail app that you can download to your phone. This allows you to have access to your all of your email at all times. 3. Expense Tracking – You know when you’re just starting out…you’re watching every penny. You can easily do it for free with Mint.com. With Mint, you can incorporate your bank account. It allows you to code and track your expenses. You can also set up a weekly report, that’s emailed to you with your spending for the week. Tip: Mint is only an expense / budgeting program. They do not offer other booking services like client invoicing. 4. Networking – When you first start your business, you have to let the world know. But…going to networking meetings can be expensive…by the time you drive to the location, pay for your lunch and your membership fees…networking expenses can start to add up real fast. A free way to search out your target market and build relationships is on Facebook. 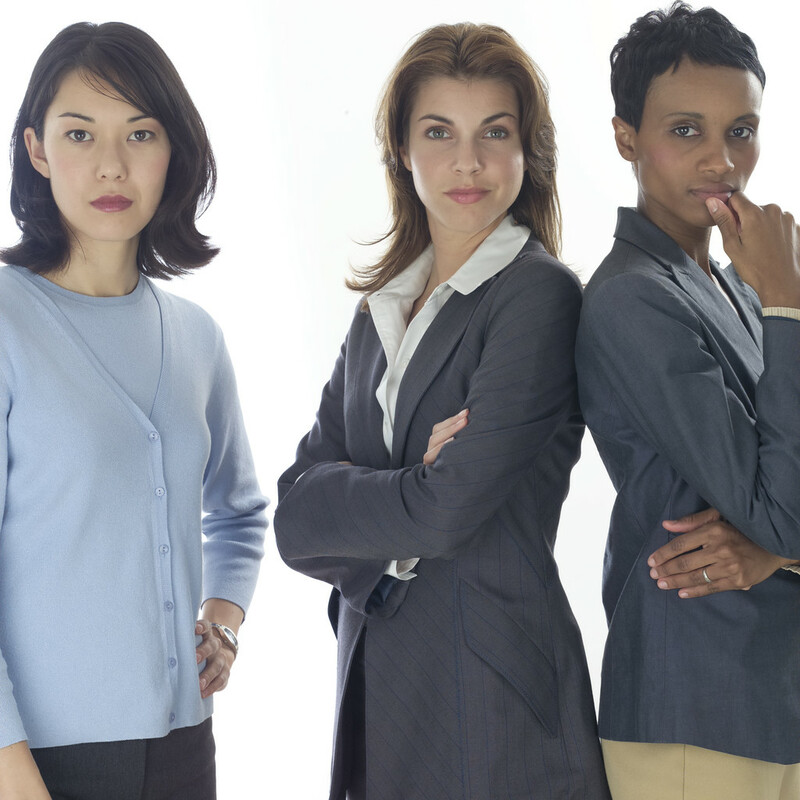 Tip: Is your target market women? A recent study posted on Marketing Charts, reported that 56.2 % of Facebook users are women. So don’t let lack of money… stop you from starting that dream business!! Julie Barnes is a Writer specializing in Business, Travel and SEO Copywriting. 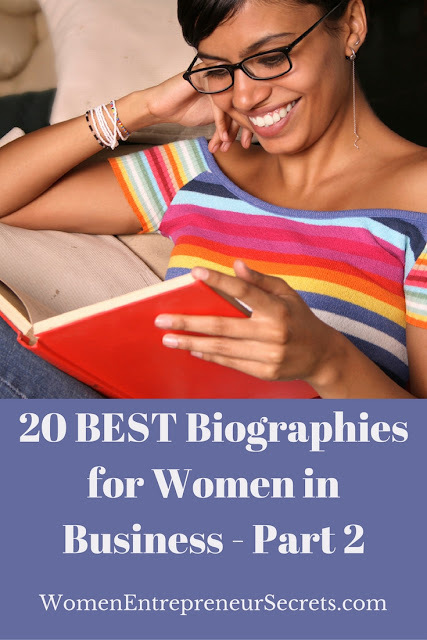 She is passionate about helping women entrepreneurs succeed in business through the written word. 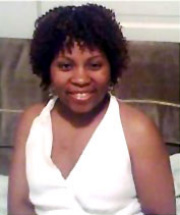 Visit her website at http://www.onewhowrites.com/. Follow Julie on Twitter at www.twitter.com/juliebarnesusa. Eva Asmar is a New York based "mompreneur" and cosmetic industry expert with over 10 years in the business. She is dedicated to providing safe, efficient and pleasurable products to women and their children. In 2010, Eva founded Bionée Organic Certified Maternity Skin Care while she was pregnant with her 1st child. Backed by the Wharton Business School Venture Initiation Program, Bionée found a perfect place to incubate. Now Eva is a work at home mom and runs Bionée from the Upper West Side where the mommy scene is booming. Originally born in Poland, Eva has lived and worked all over the world including Germany, France, Australia, the United Kingdom and the USA. She is also fluent in four languages. While living in Paris, Eva attended the Sorbonne University and completed a Masters at ESSEC Business School. She took an interest in cosmetics while in Paris and soon after established herself as a cosmetics industry leader with positions at Yves Rocher, L'Oréal and most recently as Global Product Manager at The Body Shop, the natural products pioneer. I’ve been slow to develop my own Facebook page. Why? Because I’ve been trying to determine how to use it, if I really need it, and what it should contain. I’ve bought countless scripts that let me “like-gate” my page (have a reveal tab that displays only when someone “likes” the page), create a web site on the page using a WordPress plugin or theme, and any number of others on which I regret spending money. Some businesses are using Facebook pages in lieu of web sites, but the ones doing this most effectively are the media and local businesses, like restaurants, with a physical location. One local television station sponsors “Facebook Fridays” in which they pose a question and will feature the best responses on the 5 PM newscast. So, those in search of their 5 seconds of fame are eagerly participating, hoping that their response will be mentioned on the live broadcast. After attending many classes about social media and Facebook sifting through the massive amount of information that exists about what comprises an effective Facebook page, I’ve finally determined what seems to be most effective for a Facebook page, and it doesn’t include spending hundreds of dollars for a custom design. 1. Page name reflective of brand or service. Once you acquire 25 fans, you can choose the name of your Facebook page. If you’re having difficulty getting your 25 fans, simply visit Fiverr.com and pay $5 to one of the many vendors who will get you the fans that you need to claim your name. (I’ve used this person with great success.) Choose your page name carefully, as once you’ve chosen it, there’s no way to change it. So, you’ll want to make sure that it is something easily recognizable by your target market. If you own a service business, you might want to choose either your given name or your business name or something that reflects your brand. 2. Custom icons in photo gallery. Each fan page has a series of photos that rotates at the top of each page. You can control the images displayed by creating custom ones that reflect your products or services. Then, going one by one in the photo gallery, you can delete the ones that you do not want to appear in the photo rotation. 3. Unique profile image. With a business page, you have the opportunity to create a unique profile image. I suggest you have one created that is 180 pixels wide and 530 pixels in height. You may want to include your logo, headshot, tagline, or short listing of benefits your provide, along with your web site URL in this image. 4. Custom landing tab. The default landing tab for visitors is the wall of your Facebook page. However, as in almost all marketing strategies, the primary emphasis of your Facebook page should be to grow your list, not your fan base. Yes, I realize that seems a bit silly, given that a business page exists to create a fan base, but I guarantee you that an email list will better serve you in the long run than a fan page if you’re a service business owner. So, create a custom landing tab that invites visitors to opt into your list. Of course, you’ll have to offer them a client attraction device (ethical bribe) to get them to do so. 5. Rewards for fans. Even though your primary goal on a business page is to grow your list, that doesn’t mean you can’t reward those who do “like” your page. Give them a special downloadable gift or coupons as a reward for liking your page. 6. Engagement strategy. Once you have fans, you need to determine a strategy for keeping them engaged. Perhaps you could offer a special “fans only” teleclass once a month. Or, offer them the opportunity to brag about their business, ezine, or blog on your page. If you hold a teleseminar, ask the participants to go your page and introduce themselves. Offer speed coaching/consulting at a particular time on your page. Give your fans a reason to return. 7. No forced “likes.” Contrary to current advice, I’m going to encourage you not to “like gate” your page, or force visitors to “like” it before you show them the cool reward behind the curtain. Rather, make it easy for visitors to opt into your email list by making that your main goal and using that opportunity on your custom tab you create for your page. Sure, you can reward those who do “like” your page, but ensure that they have joined your list first. You can spend lots of time and money on the newest and coolest Facebook business page strategies, or just put together a fairly simple page that contains the pieces mentioned above that will work effectively for you. Don’t let your Facebook page dominate your marketing, but integrate it into your already existing strategy. 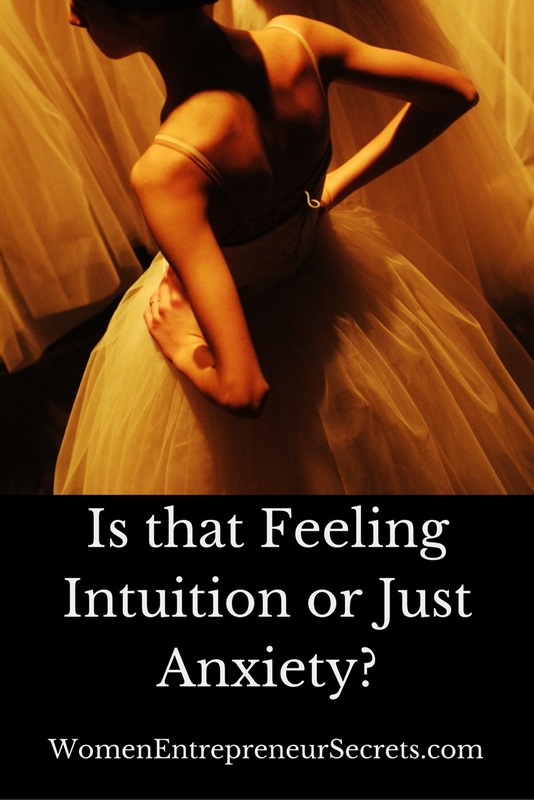 Is That Feeling Your Intuition or Just Anxiety? We have all been there when we feel like we get a strong feeling about something and we can't tell if it's our gut feeling, our inner critic or shear anxiety. 1 Your Intuition always uses your energetic senses in your body first. These consistent of clairvoyance - energetic sight, like a vision or deja vu, clairsentience - energetic feeling in your stomach like butterflies, clairaudience - energetic hearing like a voice in your head, lyrics to a song or quick word that comes to mind or claircognizance - energetic knowing like you know something beyond a shadow of a doubt without necessarily being taught or told. 2. Your intuition is quiet, constant and consistent. Your anxiety is loud, erratic and changes from one thing to another. 3. Your intuition is affirming but not critical. It lets you know that you are on the right track or wrong track with an affirmative tone, not a harsh one. 5. Your intuition will feel lighter even if its an outcome you don't necessarily want. False guidance always feels heavier and hard on your senses. One of the best ways to get more intuitive is to pay attention, act on it and keep track of your success. It is like a muscle, the more you use it, the clearer it becomes. Business students and professionals alike can greatly benefit from gorging on their forebears' biographies, memoirs and autobiographies — no matter their demographic. But considering difficulties faced by both historical and contemporary women, it makes sense that the female executives, entrepreneurs and innovators would seek out role models with whom they can better identify. Please do not take this listing as a comprehensive guide to the lives behind the stories, but rather a small sample for contemplation before further inquiry. It attempts to list a nicely broad swath of industries, perspectives and backgrounds, from fashion to some harrowing Bolivian mines…and all that sits between. 1. Chanel: A Woman of Her Own by Axel Madsen: Gabrielle Bonheur Chanel revolutionized fashion with her keen creativity and business acumen, and this biography peers into the celebrated woman's life and times. Author Axel Madsen blends the deeply personal with the impressively professional, painting Chanel as a three-dimensional individual enjoying high glamour and suffering wrenching tragedy. 2. On Her Own Ground: The Life and Times of Madam C.J. Walker by A'Lelia Bundles: Although she weathered an incredibly difficult life of poverty and oppression from an early age, the brilliant businesswoman and philanthropist Madam C.J. Walker eventually earned the "first black female millionaire" honor after developing and marketing African-American hair care products. She also opened up some great career opportunities for African-American women, ensuring them more options beyond domestic servitude, providing important historical and cultural context (and commentary) for biographer A'Lelia Bundles. 3. Global Girlfriends: How One Mom Made It Her Business to Help Women in Poverty Worldwide by Stacey Edgar: This autobiography chronicles the humble beginnings and subsequent success of Stacey Edgar's Global Girlfriend initiative, though it focuses more on her work than her personal life. This amazing business offers up career opportunities for oppressed women worldwide, offering them fair pay, a nurturing environment and opportunities for creativity and growth. 4. Self-Made Man: One Woman's Year Disguised as a Man by Norah Vincent: More of a sociological work on arbitrary gender perceptions and roles than a straight-up business piece, Self-Made Man nevertheless provides some fascinating insight into uniquely masculine struggles. Norah Vincent lived as a man for an entire year, even taking on a sales position that sheds light on some issues male workers face that their female peers might not ever realize. 5. Oprah: A Biography by Kitty Kelley: Until the iconic lifestyle guru herself finally gets around to publishing her memoirs — and, come on, everyone knows she probably will! — most readers wanting to know more about Oprah Winfrey's life turn towards this popular, albeit unauthorized, biography. Through a series of interviews, she hears what relatives, friends and lovers have to say about one of America's most successful, hardworking and humanitarian media moguls. 6. Honeybee: Lessons from an Accidental Beekeeper by C. Marina Marchese: The founder of Red Bee Honey reflects on her fascination with all things apiary, gleaning plentiful professional and personal lessons in the process. Even those without any real connection to or interest in the natural world and cosmetics — C. Marina Marchese sprinkles her memoir with some cool recipes — can still walk away from this autobiography with something to ponder. 7. Autobiography of Mother Jones by Mother Jones: As one of the most influential working-class labor leaders in the United States, Mary Harris "Mother" Jones' passion for socioeconomic justice earned her the moniker "The Most Dangerous Women in America." Regardless of one's political leanings, reading her autobiography opens up an interesting historical perspective on business and economics. 8. Let Me Speak! Testimony of Domitila, a Woman of the Bolivian Mines by Domitila Barrios De Chungara: Another landmark piece in the worker's rights movement, this time taking readers inside the horrific conditions of Bolivian mine shafts. Both a glimpse into history and a treatise on keeping employees as safe and healthy as possible, Let Me Speak! looks at big business through the eyes of its most marginalized demographic. 9. Barbie and Ruth: The Story of the World's Most Famous Doll and the Woman Who Created Her by Robin Gerber: Ruth Handler co-founded Mattel with her husband Elliot and launched the iconic Barbie doll in 1959, changing the entire toy industry (and, many say, perceptions of women's bodies) forever. But her life was not an easy one, and she spent her remaining decades creating prosthetics for fellow women who underwent mastectomies. 10. The Road to Someplace Better by Lillian Lincoln Lambert: The daughter of poor Virginian subsistence farmers, Lillian Lincoln Lambert eventually shattered molds as the first African-American woman to graduate from Harvard Business School. Her amazing, inspiring autobiography chronicles the passion, hard work and occasional desperation that went into her eventual academic and professional success. 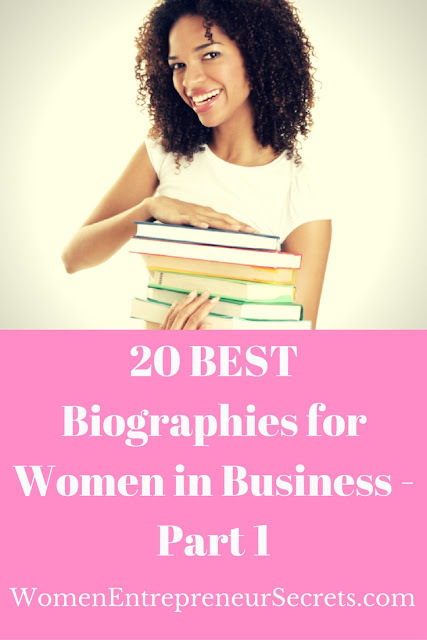 Read about more biographies for women in Part 2 of 20 Best Biographies for Women in Business. How to Tell Your Readers What to Do! One trait of an entrepreneur, good or bad, is that they like to do their own thing, follow their own schedule and to put it nicely…not be told what to do…which is why so many entrepreneurs leave out a very important step when writing the copy for their website and sales pages. 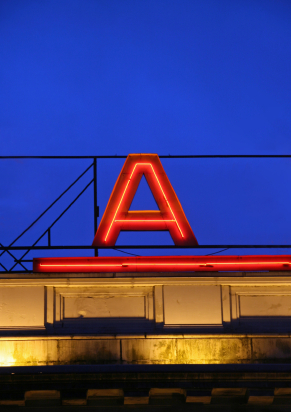 In today’s article…I’ll be discussing the very important step of…asking for the sale! You spent hours and hours writing the perfect website copy for your coaching services and information product. Will your visitors know what steps to take to sign up or purchase your product or service? You forgot to ask for the sale, didn’t you? Figure out what YOU want your website visitors to do. · Sign up for your free report? · Purchase a product or service from you? · Join your coaching group? You want to guide your visitor through your sales process…giving them step-by-step instructions on what to do. And remember, don’t ask for the sale too many times…because this just sounds pushy. And nothing will turn your visitors off more than a pushy “sales person”. · What is the website about? · What are you “ask” to do? · Is it clear what steps to take? · How do you sign up or make a purchase? This is a great way to “correct” any copy that’s unclear, so your visitors will take the action that you want. And remember…ask for the sale! 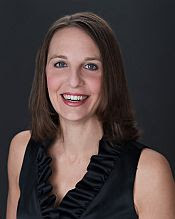 Julie Barnes is a Certified SEO Copywriter and Consultant. She is passionate about helping women entrepreneurs succeed in business through the written word. Visit her website at http://www.onewhowrites.com/. Follow Julie on Twitter at www.twitter.com/juliebarnesusa. Kathryn Tucker is the Founder and CEO of RedRover, a location-based social utility for parents. Prior to founding RedRover in July 2010, Kathryn worked in film, serving as a producer on independent features and documentaries. Kathryn received the Independent Spirit John Cassavetes Award for her work on “The Station Agent”. “The Station Agent” won numerous awards worldwide, including the Special Jury Prize, Audience, and Screenwriting awards at the Sundance Film Festival. Are you tired of keeping up appearances? Feel like you have to play a role so that people will perceive you in a certain way? Why is that even necessary? If you're caught up in the branding and marketing and obsessing over what this one or that one is doing - and whether they might know something you don't (so you'd better do what they're doing) - just stop and take a breath. Really. Just stop..
You're not doing it wrong. In case you haven't noticed, at this point things are changing so fast that what used to work may not come close to working now. What's the answer? If you're at a crossroads and you don't know what to do next, drop the posing, the fancy titles, the contrived elevator speeches, and get down to basics. Be yourself. People really are tired of all the fakery. We've seen it much too often and it's all starting to sound the same. To me being authentic isn't just another buzzword to throw out there when you want to prove your street cred. Doing things just to stand out is just as fake as turning away from who you really are to go along with the status quo (unless you are the status quo - in that case, carry on). What I mean is, if it took you 20 years and tons of failures to create the success you have now, that's not a bad thing. But if it did take you 20 years and tons of failures and you tell me that it only took 6 months and a simple system (which you will sell me for $997.00) that's stretching things a bit. People start their own businesses for various reasons. Maybe you couldn't stand working for someone else. Or you were downsized and now you want to do your own thing. Maybe you wanted to spend more time taking care of your family and desired work that allowed you to do that. When I left corporate I did it because I wanted to be my own boss - manage my own time and my own life. It was exhausting to continue the 12-hour days and the 4-hour commute so that I could sit in some grey cubicle all day. If I had been able to enjoy my work and feel a sense of purpose, I could have dealt with all the stuff around it. But over the years, the "stuff" grew bigger and bigger, and the job satisfaction disappeared. I began to question what I was doing with my life. It became unbearable to think that I'd have nothing more to look forward to day after day. Having your own business is not easy. It is often full of anxiety, insecurity and losses. But at the same time it can be fulfilling, creative and abundant. Going out on my own has reconnected me with a part of myself that I'd put aside for years. In the workplace, I stopped believing in the things that I wanted to accomplish. Instead for a long time I kept my head down and focused on "going along to get along" so that I could keep my job. Unfortunately when I went out on my own I brought a lot of that mindset with me. When I started out with a freelance writing business, people had no problem letting me know that "writers don't make any money." Then after I published my book,"Think Like an Entrepreneur: Transforming Your Career and Taking Charge of Your Life" I was told that "books don't make any money." Hey, I've got nothing against making money, but I doubt there's only one model to follow in order to do it. After wasting a lot of time trying to be like everyone else, and following the advice of others who can only tell me how to do what they've done, I've decided to let all that go. Why did I go out on my own in the first place? To lock myself up in another prison like the grey cube I ran away from? If I was tired of following along within the corporate structure, why am I choosing to be a follower now? Look in the mirror and take an honest assessment of who's staring back at you. Can you learn from people who are running successful businesses? Yes. Can you learn from people who haven't been as successful? Yes. Take it all in, the successes, the failures, the things you like and the things you don't. Create your business around your vision and be willing to experience the good, the bad and the ugly to bring it into existence. Stop feeling that you have to follow or wait for permission to do what you want to do. Trust yourself to lead. Throw in some self love - and wear that scarlet letter proudly. Deborah A. Bailey is author of two non-fiction books including, “Think Like an Entrepreneur: Transforming Your Career and Taking Charge of Your Life .” She's also the creator and host of Women Entrepreneurs Radio, a weekly internet talk show. Her fiction work includes a short story collection and a novel, available on Amazon.com. For more information, visit http://www.BrightStreetBooks.com.